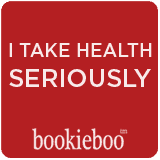 Bookieboo has been working with bloggers creating new and exciting projects in social media since 2007. But no matter how many brands we work with, our first priority is the health and wellness of social media moms. We pride ourselves in bringing you only the best brands that have a reputation for promoting a healthier lifestyle. Click here to sign up to receive emails with opportunities from brands.